What's the plan for the ol' J-body? Welcome! Nice to see people are "stumbling" onto this site. I like the Gold/Black on the Sunfire, they were my high school colors. and I'll never fight with a man wanting a better system.. my van's got the beats, haha. 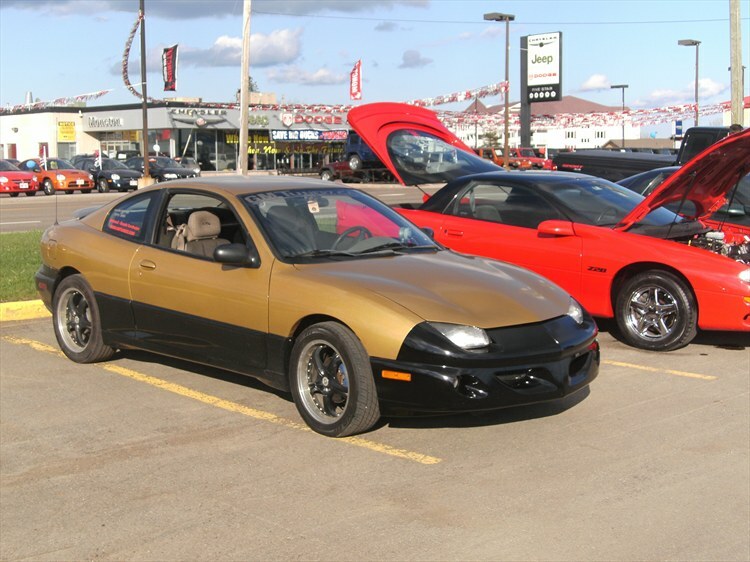 Nice sunfire, good work! He's got no rasp, and it's a deep, low tone. Not loud either. 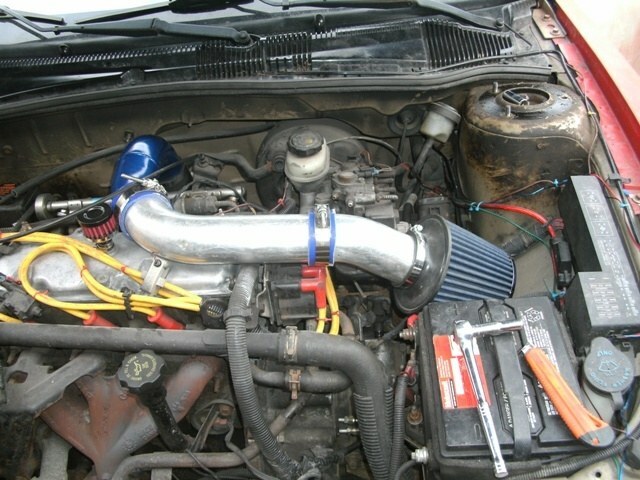 get a CAI, way better then a WAI. 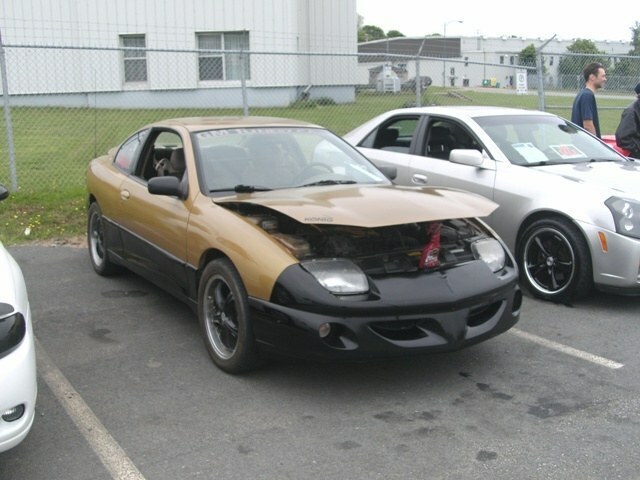 the black and gold are nice but Id say paint the upper have of the front bumper gold to match the car, cause right now it look like you just slappped a bumper on there. 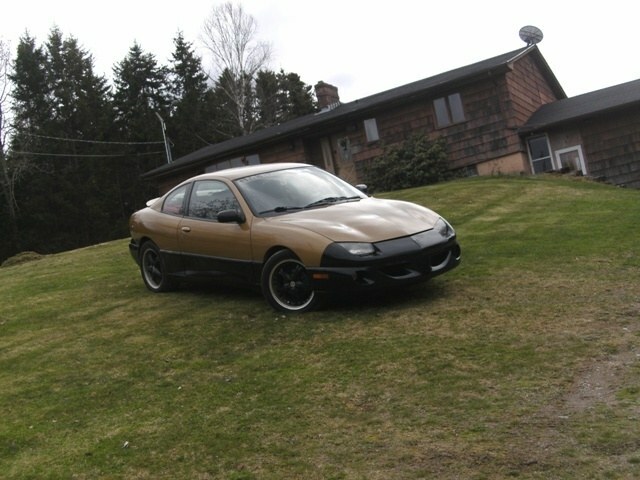 but besides that the car looks good man. Since the LN2 is a pushrod motor, IIRC, LSx parts can work (valves, lifters, springs etc) and a good port and polish, and a good cam will help out. Although the only way to really get power is boost. As for the intake, delete all the intake resonators, even te one right above the throttle body, and you'll get the most from the intake setup. Darren's chop looks good, I'd redo the bumper like that, makes the two tone more fluid. Ah, you did rid all the resonators. Cool. But hot damn, that engine bay needs major luv. 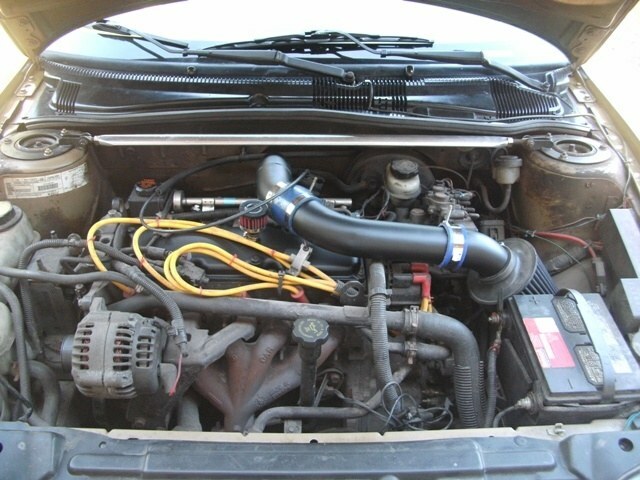 intake looks much better. 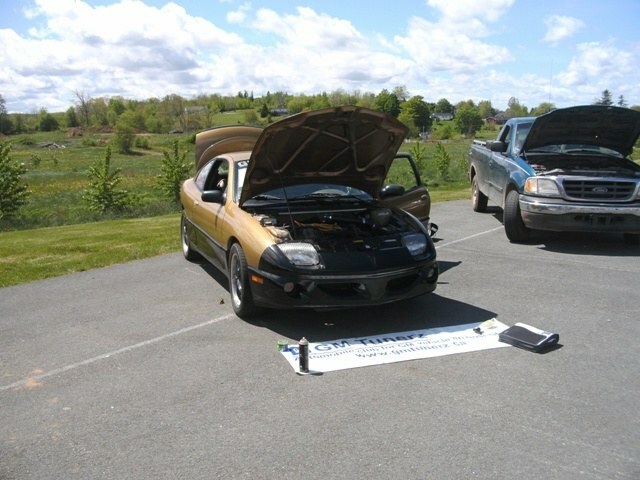 now just need to wash the motor down and degrease it.